We have recently completed a milestone where we were able to drop jQuery as a dependency of the frontend code for GitHub.com. This marks the end of a gradual, years-long transition of increasingly decoupling from jQuery until we were able to completely remove the library. 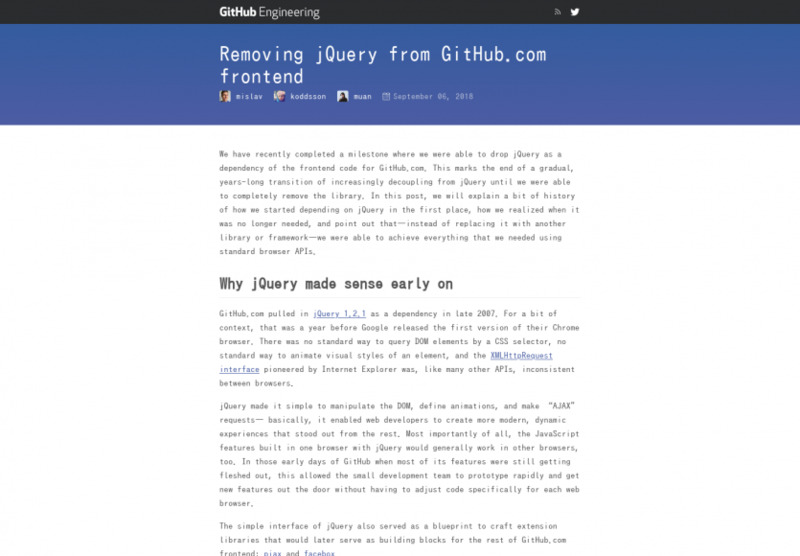 In this post, we will explain a bit of history of how we started depending on jQuery in the first place, how we realized when it was no longer needed, and point out that—instead of replacing it with another library or framework—we were able to achieve everything that we needed using standard browser APIs. Edge sous Chromium : quelles conséquences pour les frontend dev ?